Ceiling Cooker Hood - BLACK - Anzi with Ready Made Drop Down Box LA-90-ANZI-SM-BLK Ceili..
Ceiling Cooker Hood - S/Steel - Anzi with Ready Made Drop Down Box LA-90-ANZI-SM-SS Ceiling Co..
Ceiling Cooker Hood - White - Anzi with Ready Made Drop Down Box LA-90-ANZI-SM-WHT Ceiling Coo.. Induction Hob with Built In Extractor Fan LA-78-ARCUS The Most Powerful Downdraft.. 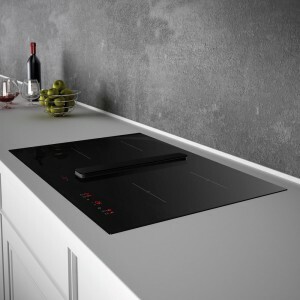 Induction Hob with Built In Extractor Fan LA-78-ARCUS-2 The Most Powerful Downdra..
Cosmic Ceiling Cooker Hood extractor 900mm x 600mm - White Glass LA-90-COSMIC-CEILING-WHITE 90..
Cosmic Ceiling Cooker Hood extractor 900mm x 600mm - Black Glass LA-90-COSMIC-CEILING-BLACK 90..
Cosmic Stratos Recirculating Ceiling Kitchen Extractor - Black Glass LA-90-COSMIC-STRATOS-BLACK ..
Cosmic Stratos Recirculating Ceiling Kitchen Extractor - White Glass LA-90-COSMIC-STRATOS-WHITE .. Gravity Stratos Recirculating Ceiling Kitchen Extractor - Black with LED Ring LA-90-GRAVITY-STRAT.. Gravity Stratos Recirculating Ceiling Kitchen Extractor - White with LED Ring LA-90-GRAVITY-STRAT..
JUPITER 1200mm x 500mm Ceiling Hood LA-1200-Jupiter Ceiling Hood The JUPITER ceiling..
Jupiter Stratos Recirculating Ceiling Kitchen Extractor - White with LED Ring LA-120-JUPTER-STRAT..
Luna Stratos Recirculating Ceiling Kitchen Extractor - White with LED Ring LA-90-LUNA-STRATOS-WHI..
Luna Stratos Recirculating Ceiling Kitchen Extractor - Black with LED Ring LA-90-LUNA-STRATOS-BLA..
Verde Stratos Recirculating Ceiling Kitchen Extractor Black LA-120-VERDE-STRATOS-BLACK 120cm V..
Verde Stratos Recirculating Ceiling Kitchen Extractor Black LA-90-VERDE-STRATOS-BLACK 90cm Ver..
Verde Stratos Recirculating Ceiling Kitchen Extractor Stainless Steel LA-120-VERDE-STRATOS-SS ..
Verde Stratos Recirculating Ceiling Kitchen Extractor Stainless Steel LA-90-VERDE-STRATOS-SS 9..
Verde Stratos Recirculating Ceiling Kitchen Extractor White LA-120-VERDE-STRATOS-WHITE 120cm V..